German tennis legend believes Murray can get back to the top of the sport. 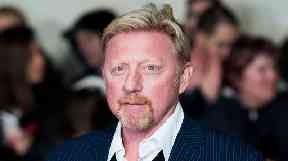 Boris Becker: Advice for Andy Murray. But Becker believes Murray would regret not trying the surgical route. He said: "I really like Andy, I know him well, but I really wish he's not forced (to retire) because of an injury. I think that's the worst for an athlete.